Ian over at Brave New Traveler has thrown down the gauntlet for funniest travel photos, in the form of a contest. Without further ado, I share my top 5 most hilarious travel photos. Were it not for this contest, these shots would've remained far away from being highlighted here! 1. 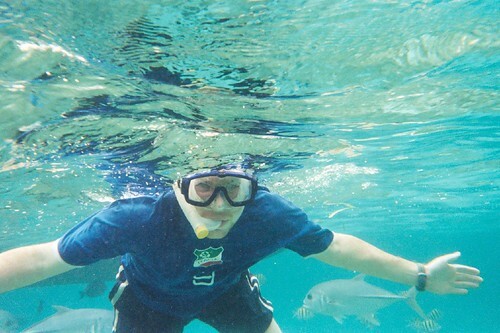 The Snorkeler (Belize, 2006) – I'm literally a fish out of water when it comes to snorkeling, so I was in no position to argue underwater when my tour mate Andrea asked for my underwater disposable camera so she could snap this winner of me! 2. 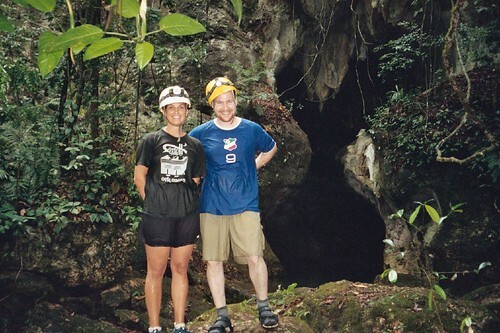 The Spelunker (Belize, 2006) – To preserve the 1,000 year old Mayan archeology sites within the dry chambers of Actun Tunichil Muknal (cave of the stone sepulcher), all visitors are required to wear socks. This photo was taken after we exited the cave, which has a stream running through it, and requires you get rather wet. And how about that hard hat! 3. The Seducer (Belize, 2006) – After a few nights of partying with British army troops on R&R, I snapped this photo of my new (very straight) friend Darren in a girl's bikini and towel after he spent the night sleeping in her room (on the floor I might add). Yes, Darren was right, this picture was bound to end up on the Internet! 4. 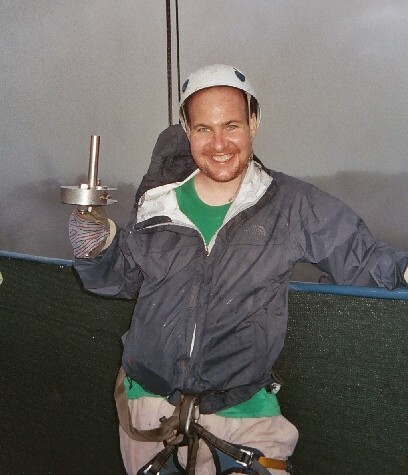 The Zipliner (Costa Rica, 2005) – I had this photo snapped of myself after spending an hour with SkyTrek, ziplining throughout the Montaverde Cloud Forest Preserve. It was exhilarating, and I proudly displayed the piece of metal that kept me tied to the cables. Notice how I'm still rocking the harness gear around my waist and crotch, along with another protective hard hat! 5. The Homer Simpson – Doh! 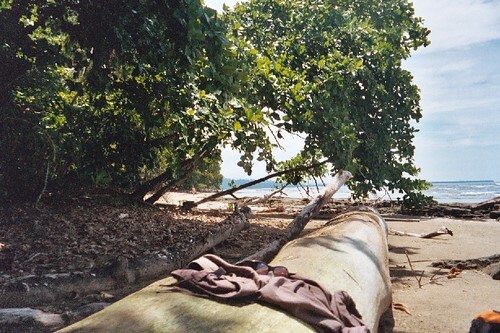 (Costa Rica, 2005) – This is the view to the left of me on a quiet beach in Puerto Viejo. You might be wondering why I think it's hilarious. Notice the clothes and sunglasses on the log? That's what the beautiful 18-year old English girl Alice was wearing before she began to sun herself in a bikini farther to the right. I find it funny that I took a picture of an empty beach, rather than her, after she had me put sun tan lotion on her back. Doh! Please share your thoughts and comments on these photos, I'd love to hear them! thanks for participating in the contest! some definitely hilarious contenders in there. i especially like the seducer. i sported a bikini myself once, and yes, there’s a photo of it…which may see the light of day when i publish my own top 5. Sure thing, it was a great idea, and I’m sure you’ll get a lot more responses. I look forward to seeing your top 5 pics! Don’t forget to click on claim your brag badge to put here on your site once you get there! Thanks Carol! I look forward to wearing the “brag badge” with pride. Nice! Love The Seducer, although I doubt I’ll be able to scrub that image from my mind any time soon. Happy to hear you liked Puerto Viejo. I just love living down here. Cheers Colin. I had a great time in Puerto Viejo. It was my first time really experiencing the Caribbean vibe. I spent about 4 nights at Rockin’ J’s Hostel. Rockin’ J is quite a trip. Can’t beat $6/night for hammocks, and $5/night for screened, cushioned tents!